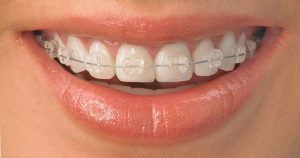 Orthodontics is the branch of dentistry that focuses on correcting improperly positioned teeth and jaws. Whether you’re an adult looking to improve your appearance, or a parent planning for your adolescent or child, our knowledgeable doctors and staff will help you through the process of building a beautiful smile. You may be interested in orthodontics purely for esthetic reasons, or as a solution for periodontal problems, headaches, TMJ pain, or sore neck muscles caused by alignment issues. Southtowns Dental Services has the experience and time flexibility to give you the best orthodontic experience possible. Changes in your mouth will affect the appearance of your whole face, so we keep in mind the unique growth of your child or teen, and how shifting of teeth and jaws will transform your adult face. Our goal is not only a beautiful smile, but a balanced face as well. These familiar appliances are the standard approach to straightening teeth and correction of bite. 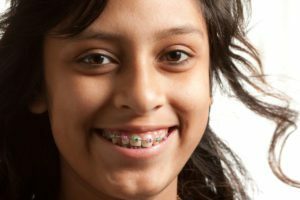 Braces typically stay on for 12 – 24 months, with a monthly check up for adjustments and progress tracking. Clear aligners are a great choice for anyone looking for a more discreet way to straighten their teeth. Clear aligners are removable, thin, transparent plastic aligners that fit over your teeth, gently pushing them into position in several “phases.” Each phase is a new set of aligner, which you will receive from Southtowns Dental when it is time to progress. Visits are usually every 6 to 8 weeks. Great for adults, these esthetic tooth colored brackets and wires can correct crowded teeth in 4-9 months. We also offer habit breaking appliances, expanders, functional appliances, and early intervention orthodontics. Call for your complimentary consultation today.